We are proud to be the New Zealand distributors for the Banak range of Maintenance Engineering software. BANAK Inc. specializes in providing expert, best-of-practice strategies for the optimization of Physical Asset Management decisions. In addition to the classic maintenance text by Dr. Andrew K.S. Jardine: Maintenance, Replacement and Reliability (also available on CD-ROM), we offer Banak's software packages: AGE/CON, PERDEC and RELCODE . AGE/CON calculates the best replacement time for your vehicles. Management of fleet maintenance and vehicle replacement can be a complicated task. Best practice management will create the lowest costs with the highest efficiency so that each vehicle serves the overall business as best it can with a minimum of downtime disruption. Such management cannot rely on mere guesswork, but must find a way to balance the decreasing ownership costs of a vehicle with the increasing costs of operations and maintenance. An understanding of economic life models will allow a manager to apply mathematical calculations that will determine the ideal time to replace a vehicle, the year in which the total cost of a vehicle has its lowest value; before replacement time, repair costs are understood as necessary expenditures to maintain the equipment, and beyond the replacement time, repair creates an unnecessarily high cost for use of the vehicle. AGE/CON applies your data through sound mathematical models. The mathematical models needed to calculate ideal replacement time have been readily available for decades, notably in Dr. Jardine's text Maintenance, Replacement and Reliability. Dr. Jardine has also used seminars as a means of making the strategies accessible to maintenance managers and has provided consulting to a number of businesses/institutions seeking to improve efficiency. Such work with Montreal Transit in 1980 led to the development of the AGE/CON software. AGE/CON is designed for easy and accurate application of statistical analysis for optimizing maintenance and replacement decisions for mobile equipment. The manual available for the software provides definitions and explanations of the key terms and concepts that are important to this process of optimization, as well as displaying examples of problems that can be solved with use of AGE/CON. The fundamental principles behind the methodology are explored more exhaustively in research literature and training courses. resale values and resale rates to consider the value of dispensing with a vehicle in any given year. 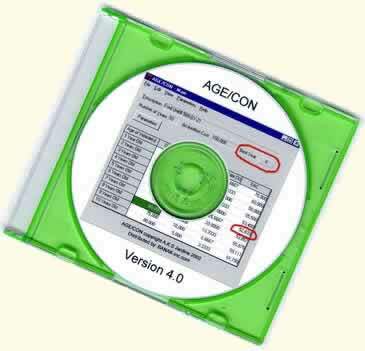 AGE/CON provides an accurate and clear solution. AGE/CON utilizes the data provided to calculate the EAC (the Equivalent Annual Cost). 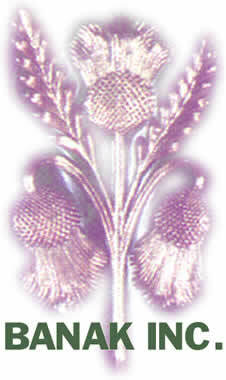 The economic life model for an item considers an infinite chain of replacements or by modification for the first N cycles. Using the CRF (the Capital Recovery Factor), the values for total discounted cost can be converted into the EAC, the Equivalent Annual Cost, to better manage comparisons that will indicate the ideal year of service at which to replace the equipment. The lowest EAC value within a cycle represents the ideal year of replacement, based on the data that has been entered. Based on the calculations for EAC, AGE/CON advises the best year for replacement. PERDEC calculates the best replacement time for your equipment. repair creates an unnecessarily high cost for use. 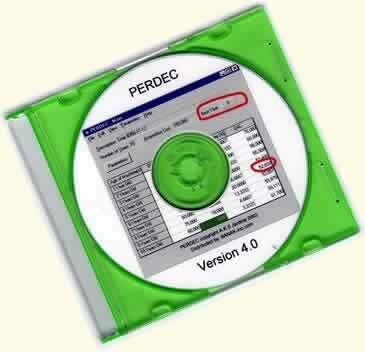 PERDEC applies your data through sound mathematical models. PERDEC provides an accurate and clear solution. the ideal year of replacement, based on the data that has been entered. Burn-in failures occur early in life and usually are the result of manufacture or installation defects. Random failures are not related to age but usually to an external cause, like a stone through a windscreen. Wearout occurs later in life, for example, the wear of a tyre tread. Identifying the pattern of failure is often the key to understanding the root cause of failure and to selecting the most appropriate maintenance policy. RelCode uses statistical analysis to identify the failure pattern (or patterns) of your data and to convert this into useful management information. The software can identify if and when preventive replacement policy for components is worthwhile, determine appropriate inspection intervals for monitoring of failure, and advise requirements for spare parts inventory. RelCode applies your data through sound mathematical models. RelCode is designed by Dr. Nick Hastings, formerly Professor of Maintenance Engineering at Queensland University of Technology. The software incorporates the latest techniques in reliability data analysis. The foundation is Weibull Analysis, the original method for statistical analysis of reliability data. RelCode carries out traditional Weibull analysis, generates probability plots and derives Weibull parameters. Going beyond the basic Weibull plot, six different distribution models are fitted and a preferred model is automatically recommended, using advanced analytical methods. 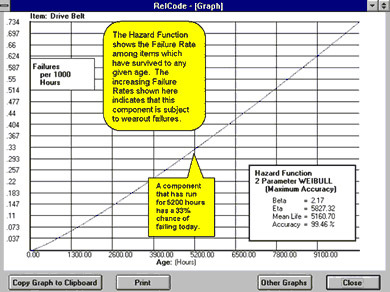 RelCode calculates the best preventive replacement intervals using published statistical techniques widely accepted by reliability and maintenance engineers. Sensitivity to cost data or policy variations is quickly analyzed. The software plots your reliability data against age on linear scales. The MTBF and the onset of wearout can be identified in components that initially have burn-in or random failures, leading to support for Reliability Centered Maintenance through the calculation of preventive replacement intervals and inspection intervals. If you have no data on a particular component, RelCode allows you to make judgmental estimates of failure patterns and mean life and carries out analysis of useful information. RelCode comes with an extensive Users Manual that helps you to present and analyze your data and to interpret the results at both management and technical levels. RelCode provides an accurate and clear solution. RelCode plots the data to reveal the relationship between reliability and age in a graphical, straight-forward and undistorted way. Ultimately, RelCode helps you to understand what is happening to your equipment and advises the best maintenance policies.